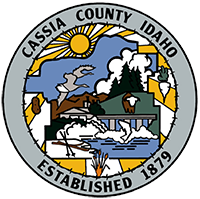 Cassia County provides this customer service as a courtesy to the public. Our passport processing hours are confined to 9:00 a.m. - 2:00 p.m. each business day to allow us to fulfill our statutory requirements of Recording, Elections, and Social Services duties due to our limited staff and financial resources. Applicants must appear in person. If applicant is under 16 years of age, BOTH PARENTS & CHILDREN must be present and provide proper photo ID to sign for child. If applicant is 16 or 17, one parent must be present with proper photo ID and sign with applicant. Departure dates less than 6 weeks , applicant(s) will be required to pay the additional $60.00 Expedite Fee. Additional overnight shipping options are available. Please contact our office for additional overnight fees. Overnight Shipping is not available for Passport Cards.